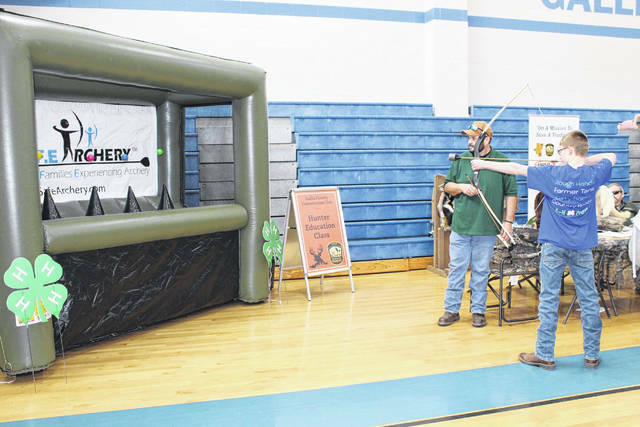 Hundreds of people turned out for the 10th annual Discover Appalachia Travel Expo held this past weekend at Gallia Academy Middle School in Gallipolis. The free event for all ages gave exhibitors the opportunity to showcase travel, historic and business destinations from all over the region and connect one-on-one with the general public. 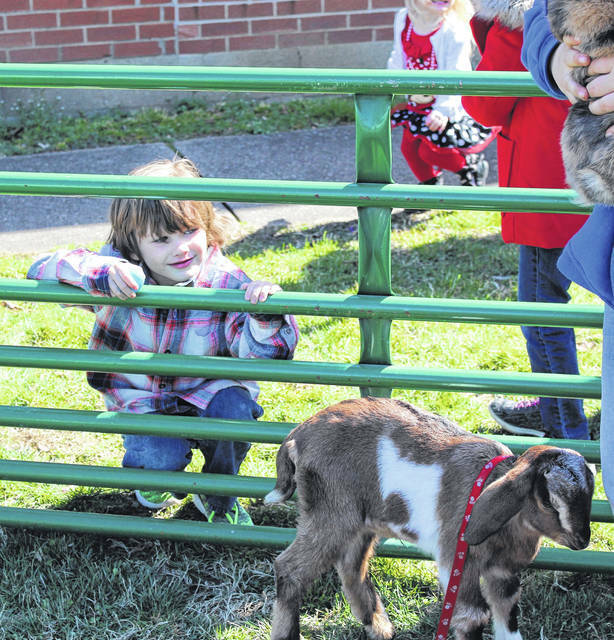 Pictured are the expo’s outdoor petting zoo and the popular indoor, archery activity. Registration for the event was locally handled by the Gallia County Convention and Visitors Bureau with support from the Gallia County Chamber of Commerce. Even the Easter Bunny, who was on hand for photos, volunteered his time to promote activities in the region.